The Savola Group, the leading Saudi Arabia-based food conglomerate, has entered into a deal with Dammam-based Al-Muhaidib Holding Company, a key player in the kingdom’s food distribution sector, to acquire a 10 per cent stake in its subsidiary Savola Foods Company (SFC). Also in a major move, Savola bought 18.6 per cent (direct and indirect) shareholding in its other subsidiary Azizia Panda United Company (Panda) in exchange for issuing new shares in Savola to Al-Muhaidib based on a new agreed valuation following the approval of its board last week. 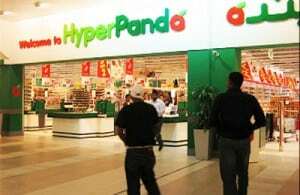 For the purposes of the transaction, SFC and Panda have been valued (on a 100 per cent equity basis) at SR6.26 billion and at SR3.83 billion, respectively, said the Saudi food giant in a statement. As a result, Al-Muhaidib’s shareholdings in SFC and Panda are valued at SR626.3 million and SR712.6 million, respectively, it stated. The transaction has been valued at SR1.34 billion, it added. As consideration for the acquisition of Al-Muhaidib’s shares in SFC and Panda, Savola will issue 33.9 million new shares to Al-Muhaidib, representing approximately 6.4 per cent of Savola’s entire issued share capital after the issue of the new shares. This will boost Savola’s total shares in issue from 500 million shares to 533.9 million shares. The number of new Savola shares to be issued has been determined using a 60-day volume weighted average share price of SR39.40 as of March 16 this year, the company statement added. Commenting on the move, Dr Abdulraouf Mannaa, the managing director, said the acquisition was in line with Savola’s strategy of ‘Focus’ and ‘Sustainable Growth’ in the food and retail sectors. It is a related party transaction since AbdulKadir Al-Muhaidib & Sons owns 8.52 per cent of Savola’s shares as at the date of this announcement and Sulaiman Abdulkadir Al-Muhaidib is the chairman of the board of directors for the Savola Group and AbdulKadir Al-Muhaidib & Sons Company. Samba Capital & Investment Management Company is acting as financial advisor to Savola, while Jadwa Investment Company is advising Al-Muhaidib on the deal. Dr Mannaa said it plans to enter into a binding conditional sale and purchase agreement with Muhaidib to give effect to the transaction and will seek to obtain the requisite regulatory approvals and the approval of Savola’s shareholders at an Extraordinary General Assembly meeting to boost its capital. The Savola Group operates in three core sectors: the food sector, which includes edible oils, sugar and pasta, the retail sector through Azizia Panda supermarkets and hypermarkets, and the plastics sector, which manufactures both rigid and flexible plastic products. In addition, Savola has a diversified portfolio of strategic investments in which it owns 36.6 per cent of Al-Marai fresh dairy company, 49 per cent of Herfy foods and restaurant chain, and 29.9 per cent of Kinan International Real Estate.